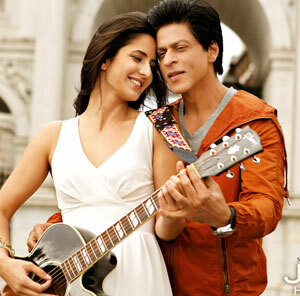 Will SRK's "Jab Tak Hai Jaan" Spark Your Diwali? Bollywood’s most renowned celebrity Shah Rukh Khan is all set to spark this Diwali with upcoming Yash Raj Chopra’s movie ‘JAB TAK HAI JAAN’. Let’s unearth what astrology predictions foresees about success of this film. King of Bollywood – King Khan is one of the most eminent personalities of tinsel town. It is not a small thing to start from ‘Fauji’ and achieve the stand he has now. But, he managed to grab this success. The reason behind this success is undoubtedly Shahrukh Khan’s hard work, but the factor of destiny cannot be ignored. A simple man with ordinary face cut might have never been imagined that he could become the ‘king of bollywood’ world while working in circus. Shahrukh Khan was born under Leo ascendant at Taj Muhammad Khan’s place on 2nd November 1965. King Khan started his acting career in 1988 from ‘Fauji’ serial. At that time, he was going through the Dasha of Rahu in Venus. In his chart, Rahu is situated at the house of workplace. Whereas, Venus is posited in fifth house that is the house of art. Therefore, he started his art career during this period. The Rahu and Venus are posited in sixth and eighth house respectively. Therefore, during this period he got success after struggle. Till 1991, he had impact of Rahu’s Maha-dasha over his life. That is why he couldn’t fetch more profits as per his capabilities. Since the inception of year 1992, the impact of Jupiter’s Maha-dasha initiated. Jupiter is situated in eleventh house in his chart. The impact of this period kept on influencing him from 1992 to 2008 and it proved fruitful to him. The period of Saturn’s Maha-dasha started from 2008. As per his chart, Saturn is posited in his own sign in Kendra (Saturn), which is making a sachem Rajyoga that is known as ‘Shash’. Therefore, this period will also be profitable for him. That was a general and basic analysis. If we analyze it deeper, at present, he is going through a sub-period of Mercury under Saturn’s Maha-dasha. This period was started in January 2011 and will show its impact over the entire 2012 year. This period is not going to benefit him much. This year, his upcoming films might not do wonders, which mean that he won’t be able to perform as per the viewers’ expectations. However, Saturn in transit and Jupiter is positive. Therefore, satisfactory success will definitely turn his way. However, if we talk about his upcoming film “Jab Tak Hai Jaan”, it seems that he is going to get success in this film.This film is releasing on 13th November 2012. At that time, Shahrukh Khan will be influenced by the period of Saturn in Mercury in Rahu. Planets related to this period are all situated in center (Kendra), which is indicating huge success. Impact of two malefic planets can fetch him success, but this might wane the spark of his actual popularity. It can be understood in that way too that film might become big success, but viewers might not appreciate the work of Shahrukh Khan, like his previous projects. Before the release of ‘Jab Tak Hai Jaan’, we can rate the movie ‘3 out of 5’ from the view of Astrology.